Ford, GM, Chrysler, Mazda, Toyota, Honda, Acura, Jaguar, Infiniti, Mercedes, Suzuki, Subaru, BMW, Nissan, Lexus, Volvo, and Many more?! © Copyright 2001-2009 by JKL'S AUTO SALES,PARTS AND SERVICES. Any comments? 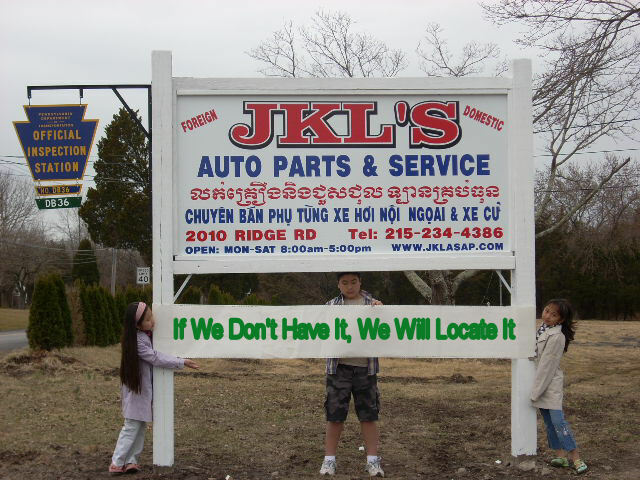 Please send e-mail to JKL'S AUTO SALES AND PARTS.